One thing that you need when you are trying to save money and run your family on a budget are systems. 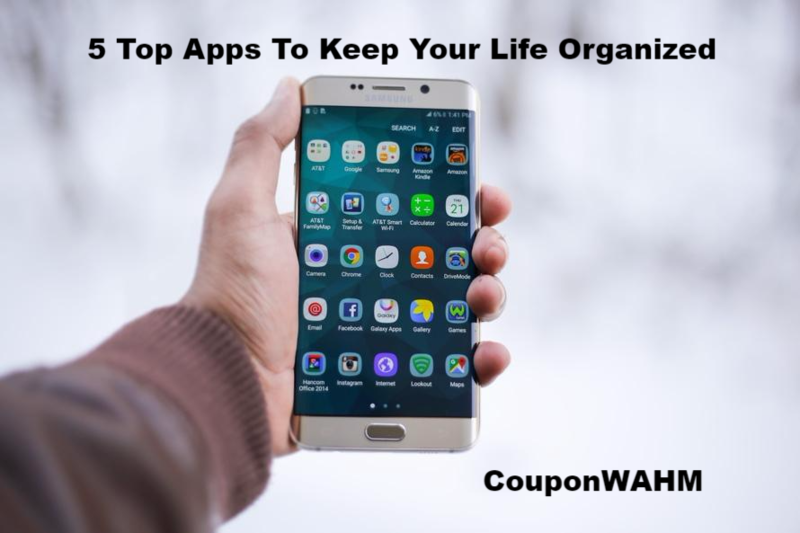 If you have a smart phone, here are 5 of my Top Apps To Keep Your Life Organized. What I love most about this app is that it allows you to create a project to-do list. Jot down a reminder. Or snap a picture of a sketch. A note can be anything you want it to be. And once you make a note, it’s accessible wherever you go, forever. Just about every store offers loyalty cards. With the Keyring app, you can keep all of your Loyalty and Membership Cards in one place. If you want a system that will allow you to keep all of your fiances,bills etc. in one place where they will be easily accessible. FileThis creates bill reminders and informs about imminent due dates before it’s too late.FileThis securely fetches all your online statements, bills and other documents from last three years and new statements whenever they’re ready.The Filethis app is for you. FileThis comes with bank-level security: 256 bit encryption for data and connections, Apple Touch ID support, and ongoing monitoring by Norton Secured, McAffe Secure, and Truswave. Cozi is a calendar app but what I love about this app is that The app also helps you create grocery shopping and to-do lists to keep you super-organized. Plus, there’s a recipe box to help get dinner on the table and a journal to share family photos and memories.